I received this CD in the mail a couple of weeks ago and have been listening to it on and off since then. I think this is the first CD from Psicodreamics aka Salva Moreno that has been reviewed here on Ambient Visions so for some readers this will be an introduction of sorts. And what makes this introduction all the better still is that this is a compilation CD that showcases Salva's efforts in the ambient-space music genres so the focus is strictly on the music that Salva has created that falls under this heading. The content on this collection shows that Salva went through his music carefully finding the music that would make this a fairly homogenzied grouping of compositions that will not disappoint the listeners who decide to pick up a copy of this CD. There is a cinematic feel to much of Psicodreamics music that works well with what he is presenting in terms of compositions. There are some light and airy pieces that function as backgrounds allowing the listener to drift along with the music and there are some darker pieces as well that pull you out of your comfort zone and transport you into more of a dramatic world that while not keeping you on the edge of your seat will at least bring your mind back from drifting and focus it on the edgier aspects of his music. Salva is not afraid to mix beats and rhythms into his music and yet even when he does so for example on track 4 which is called Labyrinth of Seduction he is still able to maintain the spacier aspects of the composition in the background with the synths which still manages to give the song an overall feeling of peacefulness and wide open spaces. One of my favorite ambient feeling pieces is track 2 called A Heaven in Your Eyes which throughout the song maintains a very ethereal motif with the sound of wind chimes tinkling from beginning to end while the synths ebb and flow over the listener. This one song illustrates the potential Psicodreamics has for producing some first class ambient CD's and that says to me that Salva still has a lot to say with his music via these types of creative efforts. As you would expect from any collection made up of music from various points in an artist's overall career the road is not completely smooth but by making the choices that he did in selecting the songs on this CD Salva has done well in keeping the jarring shifts to a minimum allowing the listener to move from song to song and feel like they were meant to be together. The notes on Salva's website states that the songs were remastered during the process of creating this collection and it shows in that you don't feel like the pieces were recorded at various times using different equipment which is sometimes the case for material that was created further back in an artist's career. Over all I would say that this CD makes a fine introduction to the work of Salva Moreno aka Psicodreamics and will encourage you to check out the CD's where these songs came from. No collection of music is perfect and this one is no exception with track 7 called On the Shores of Hell being the weak link of this collection. I don't particularly care for the vocals on this track and the music is just not my cup of tea. That being said I think that the CD has a lot to offer the listener who has just run across Psicodreamic's music and wants to see what he is all about. His music is all about storytelling and most of the CD's that the music came from had an overarching theme that tied the songs together so listening to the songs in their original context might shed more light on the song itself. Salva is a very capable composer and his enigmatic style of music deftly blends both the dramatic/cinematic styles of music with the more atmospheric elements that show up throughout this CD. A recommended release. This will be my last 2007 review (a year full of really great music), ending the year on an up-beat! When Fiona Joy Hawkins� teenagers called her a �classical music nerd,� the pianist/composer known for her �music to dream to,� set out to prove a point. To these ears, she more than proved it, composing, arranging, and recording an album that rocks, rolls, and has one great big good time! 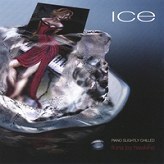 �Ice: Piano Slightly Chilled� will get the stodgiest of classical music nerds dancing and toe-tapping, remembering why we old fogies loved instrumental rock music �way back when groups like The Ventures and Booker T & The MG�s showed us how much joy wordless music can hold and how it can stimulate the imagination. Listen up, folks! Fiona Joy Hawkins has moved into a new direction, and it really rocks. I love this album, and have had it playing with the volume cranked up for several days now. This is one album that packs in great music with imaginative(sometimes funny!) titles that are all on the chilly side. I hope Fiona�s kids are eating some well-deserved crow and are seeing their mother in a whole new light! Fiona Joy Hawkins wrote all of the music, plays piano and keyboards, and sings on the last two tracks. Dieter Kleemann brings his soulful rock guitar to four tracks, and some tracks feature bass guitar, didgeridoo, tarogato, and other acoustic instruments. Mostly, it�s Fiona doing her own �cool� thing! �Iced Rain� opens the album with a driving beat, lots of keyboard effects, and a simple piano melody that pours on the energy. Hmmm - this doesn�t sound new agey at all! I like it! �Cloud Chill� begins with didgeridoo and then guitar and piano, with another infectious, driving rhythm. �Frosted View� chills it down a few degrees with a beautiful (but still very rhythmic), passionate piece that is melancholy and full of longing. �Antarctic Wings� and �Snow Bird� are the same song, but the latter has lyrics and the first is an instrumental - both are gorgeous. �Love In the Refrigerator� has to be a classic title, but the piece itself isn�t silly or even light - slow and very effective. I like all of the pieces on this album, but �Winter Cold� is one of my favorites. Again very rhythmic and energetic, this piece really moves. The wordless vocals in the background add to the passionate piano/keyboard and give it the feeling of cool open space. �Frozen Rose� is an icy slow dance that contains the sound of howling wind in spots. �White View� is an alternative arrangement of �Frosted View� with more piano and a mild �eastern� flavor - both arrangements are wonderful in their emotional depth and passionate expressiveness. �Crystallized Love� features Fiona�s sensuous vocals that sing of �freedom, love, touch, heat, ice...� and the sultry request to �crystallize me.� Chills! Already in the running for some major music awards for 2007, �Ice� should bring Fiona Joy Hawkins a whole new audience to her music. Cool to the extreme, check it out! 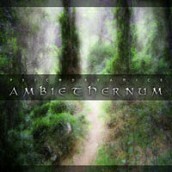 It is available from www.littlehartleymusic.com, cdbaby.com, and amazon.com. Very highly recommended! One of the most rewarding aspects of reviewing CDs is that every once in a while, a recording comes along that really whacks me upside the head. David Hicken�s �Goddess� is one of those albums. I had listened to samples on Hicken�s site, but they did not prepare me for the absolute beauty of the music on this album. It grabbed my attention as soon as I started listening to it, but since the music is rather uncomplicated, I wasn�t sure I would like it as much after listening to it a number of times. On the contrary. Rather than becoming trite and tiresome, these gentle little nuggets become more dear to me each time I hear them. In fact, I�ve been dragging my feet a bit in writing the review because I know that once it is written, I won�t have time to listen to �Goddess� again for a while. Happily, David Hicken is releasing part two of this trilogy as I write, so my blissful listening experience can go on. Each of the twelve tracks is named for a mythological goddess from various parts of the world. My only reservation about this album is that the warrior goddess and the goddess of volcanoes and fire are as serene and benevolent as the moon goddesses, but if that�s the worst thing I can say about it, you are in for a real treat! Parts of this album remind me a bit of Kevin Kern and Michael Dulin (without any orchestrations - these are all piano solos), but David Hicken�s is a unique musical voice. A very accomplished musician in several instruments, I suspect that Hicken, like Kern and Dulin, is so secure in his musicianship that he has no need for a lot of flash or bravado. The music is such an entity unto itself that it has the ring of truth in its simplicity. �Lakshmi,� Hindu goddess of prosperity begins the CD. The graceful melody gently floats on a peaceful cloud of sound. �Kuan Yin� is the Chinese goddess of compassion, and this piece is all about open-heartedness and kindness. �Sekhmet,� the Egyptian warrior goddess picks up the tempo a little but is very non-threatening, charming her adversaries into submission rather than physically beating them - I like that! �Sarasvati,� Hindu goddess of the arts, is poignant and bittersweet, alternating between major and minor modes throughout the piece. �Ishtar,� Babylonian goddess of the moon and Venus, is cool and aloof, elegant but approachable. �Isis,� another a moon goddess, is also a bit distant and elusive, but ever so beautiful. Her gentle serenity is so inviting. �Ostara� is the Teutonic goddess of fertility and springtime, and conveys warmth and hope. �Sedna� is the Inuit Eskimo and Alaskan goddess of the ocean. The left hand plays rolling, broken chords while the right hand dances lightly on the surface, again very tranquil and exquisite. �Diana,� Roman moon goddess, flows in coolness and grace. The closing track, �Pele,� is warm and wistful, ending this extraordinary musical hour with a smile and a sigh. If you haven�t been able to tell, I REALLY like this album, and expect it to be on my �favorites� list for the year. Give your ears as well as your spirit a rare treat and check it out at www.davidhicken.com, cdbaby.com, amazon.com, and iTunes. I wholeheartedly recommend �Goddess�! 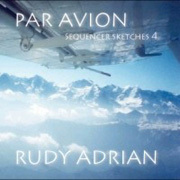 Par Avion is the latest release from New Zealand musician Rudy Adrian. This is my first introduction to his music which is predicated on exploring the tones and textures of synthesiser and other instruments. From the title I expected some kind of Berlin School workout, and so was surprised to discover an atmospheric album where the sequencing is restrained and fits well sonically with the rest of the music. Essentially this CD contains two albums. The first five tracks derive from recordings made for a live performance, and the remaining two tracks are the promised atmospheric half of Starfields: Sequencer Sketches 3. The title track �Par Avion� opens up the album with the sound of human activity and birdsong. A woman's voice speaking in French then comes in while golden notes and pads morph into a pleasant rhythmic section. There's a slight Tangerine Dream feel to �Across the Canyons� where a mid-tempo sequence consorts with bold metallic washes and unobtrusive ones leaving a sheen across the backdrop. Taking us from the skies of Earth to outer space is �Starfields 2 � part 1�. A kaleidoscope of multi-textured slowly quivering washes and drones glide across the soundscape as though we're drifting through a starfield viewing celestial wonders. Briefly deeper and almost churchly chords juxtapose with beaming washes of different hues like seeing starlight at varying frequencies. There's so much electronic music out there that even for a reviewer it's possible to encounter established artists for the first time. 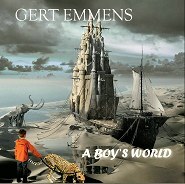 That's the case for me and Gert Emmens - his latest album A Boy's World is my introduction to his music. Being released on the Groove label it's not surprising to discover this is a sequencing based album. One of the better ones I'm happy to report. I get the impression that this album is an ode to the innocence and imagination of childhood. Exemplifying this is a great CD cover of a sailing ship with a castle built on it. It's off to an uplifting start in �School's Out� where a to-and-fro melodic rhythm, short glissandoes, minor fanfares on a warm synthetic sax sound, and searing synth riffs lead the way. This is a heartwarming piece that expresses the joy and hopes of childhood for a lazy summer away from school. Over half the album is made up of two long (over twenty minutes) tracks. A pulsing beat alongside industrial style effects sets the pace in �Gaming part 2: Battles Are Won and Lost� while warm synth melodies glide across the soundfield. In contrast �Gaming part 2: The Quest� begins with atmospheric sonic musing then launches into pleasant sequencing and spacey whistling. It's an emotional end to the album in the piece �Nothing Lasts Forever (For Mom, In Memoriam)�. Eerie pads and mournful synth refrains start off before a rhythmic passage with drums and percussion comes in. The musical structure coupled with the particular sounds imbues it with a feeling of both sorrow and celebration of a life. Inherent in sequence oriented albums is the danger that the sequences can become a bit boring if not done well or developed enough over a track. On the whole A Boy's World manages to avoid this trap and has some good melodic structures.